Aside from the processor, battery life, RAM, and Android version of your phone, the phone’s internal storage is one of the most crucial parts of an Android phone. How can you actually save your files, apps, photos, videos, and other data without having enough storage? Unless you delete some files on your phone, you won’t be keeping enough space on your internal disk. 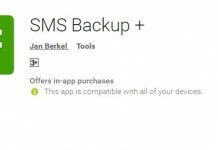 However, uninstalling apps from your phone may also leave some data behind. 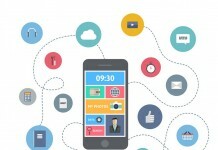 These data will begin to accumulate and will consume your phone’s storage space over time. To make sure those data are totally eradicated from your phone’s internal storage, you will be needing an app that can help you keep watch. 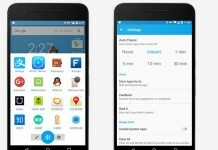 DiskUsage is an Android app that visually represents files and folders that are taking space on your mobile phone’s internal storage. Compared to other data monitoring apps on the Android Market, its visual representation makes it easier for ordinary users to understand which files and folders are taking space–and how much–on their devices. 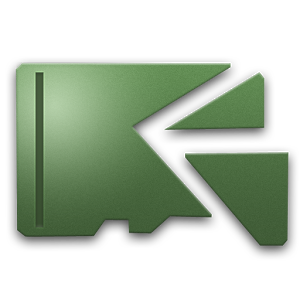 First up, head over to the Play Store and download DiskUsage. It’s completely free, so you don’t have to worry about making room in your budget for this one. When you first open DiskUsage, it will ask which storage destination you would like to view. The default option will most likely be a “storage card,” even if your device doesn’t have a MicroSD card slot. 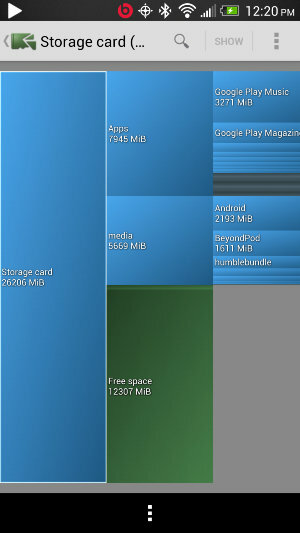 Android is designed in a way that leads many apps to view internal memory as an SD card. It’s not a problem. Just select the option and let DiskUsage do its work. Afterwards, you will be presented with a visual report of all of the data on your device. From here, you can select any specific app on your device. 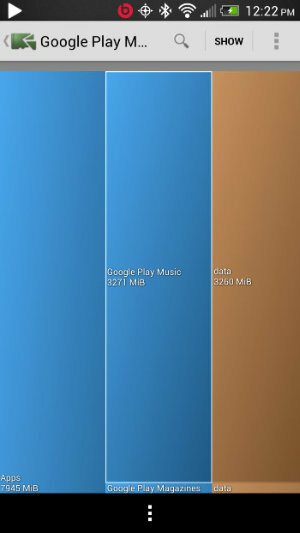 Clicking on Google Play Music shows how much space it’s consuming and how much of that is going towards app data. In this case, basically all of it. This is usually the case for most apps. If an app is taking up too much space, you can try clearing the app’s data, emptying out its cache, or uninstalling the app entirely. You can do this by clicking on the “Show” button in the top right corner. This button it will take you to the app’s settings. From here you can clear up much of the space, if not all of it. Unfortunately, some apps cannot be uninstalled entirely unless you’ve rooted your device.